Dubai is trying to build a regional education hub and Abu Dhabi attracted some of the leading universities from Europe. How is Lebanon special and what are the prospects of Lebanon becoming a regional hub for education? The entire GCC region over the past several years has elevated education to a top priority both at the k-12 levels and particularly in higher education. This is a welcomed move because throughout the Middle East, the population is overwhelmingly young and education is a requirement for today and tomorrow. 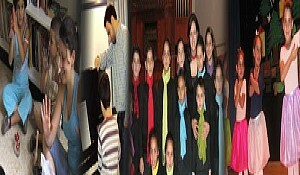 Lebanon has had a long-standing experience with quality education. AUB goes back to 1866 and some other quality institutions have followed since. the region by creating leaders for all sectors. 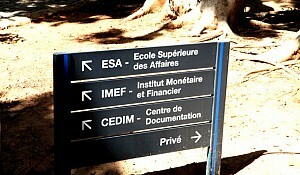 Certainly, AUB isn’t the only institution in the country that is successful. The Middle East can use all the quality higher education it can get so there is room for everybody in pursuit for the very important goal of sustained human development and building an important skill base. What makes you the leader? AUB is recognized globally as the leading higher education institution between Europe and South Asia. This is due to several factors, not the least of which is that we are around 145 years old. We are fully accredited by the New York Board of Education, the Middle States Association of the United States, and our professional schools are accredited by their respective bodies of accreditation in the US. What sets AUB apart is that it is a liberal arts- based institution with a tremendous track record as the leading university in the Middle East that speaks to our credibility. There are many. The most important challenge we try to focus on is having the highest quality standards in higher education, benchmarked against other global best practices. This requires a tremendously capable resource base and we do as much as we can to ensure we deliver on our commitments and fulfill our mission. The major challenge is to build the kind of resource base necessary to deliver the best quality higher education. In speciality areas like medicine, business, and engineering you can imagine how expensive this is for a private institution that is not government supported. AUB’s greatest differentiator is our brand recognition and we are widely respected throughout the world. Is the uncertainty in Lebanon a cause of concern for you? Negative country risk perceptions involved with Lebanon present a major challenge but this has improved greatly over the past few years. We now have a stable political process and now we are going through a peaceful and ordinary process for government elections. We have also avoided the international economic crisis and capital continues to flow into the country regularly so really this is an upbeat period in the history of the country and we are hopeful that the worst is behind us now. Can you speak about your international expansion? 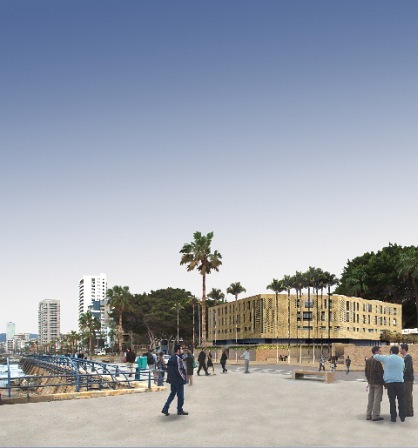 AUB is an established international brand already and has always been respected in the region. In every area of the world you will find AUB alumni chapters. 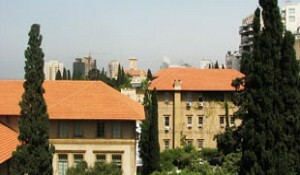 Students flock to AUB from all over the world because they recognize the international weight of the AUB brand. We have a strategic plan in place in order to face the challenges presented by a global knowledge economy and greater competition. What does your strategic plan consist of and what is your vision for AUB? 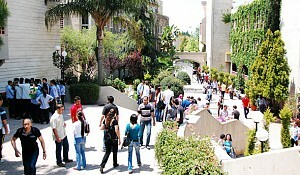 The vision for AUB is to move to the next level in serving the Middle East and assert its leadership in the region for the 21st century which means we need to place greater emphasis on benchmarking quality against world-class best practices, pursue regional diversity, gender diversity, socioeconomic diversity, build strong links we major higher education institutions throughout the world, and even consider co-branding all while continuing to be perceived as the global standard for higher education in the Middle East .